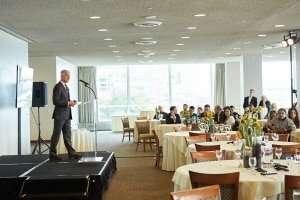 An international panel of culinary and coffee experts from around the world convened on October 17th at the United Nations to evaluate the world’s highest-quality coffee lots grown in nine countries as part of Ernesto Illy’s Second Annual “Best of the Best” International Coffee Award. The top-scoring coffee lot was named from among 27 of the world’s best lots from the 2016/2017 harvests in nine countries, at a gala attended by representatives of each grower and delegates from each nation. According to a press release provided by illy, award winner Díaz Enamorado and his wife, Daysi Clemencia Reyes, began planting coffee in 1966 in the village of El Chimizal, with an initial area of 3.5 acres, in the region of Erandique. Alongside Honduras, coffee lots from Brazil, Colombia, Costa Rica, Ethiopia, Guatemala, India, Nicaragua and Rwanda were chosen to compete following intensive analysis at illy’s Quality Lab at its Trieste, Italy headquarters. All nine finalists will comprise the legendary illy blend, known for decades for its unparalleled richness, complexity and consistency. According to illy, the award recognizes excellence in raising coffee of the highest quality through sustainable means. The award celebrates the company’s hand-in-hand work with farmers to realize its dream of offering the best coffee to the world. 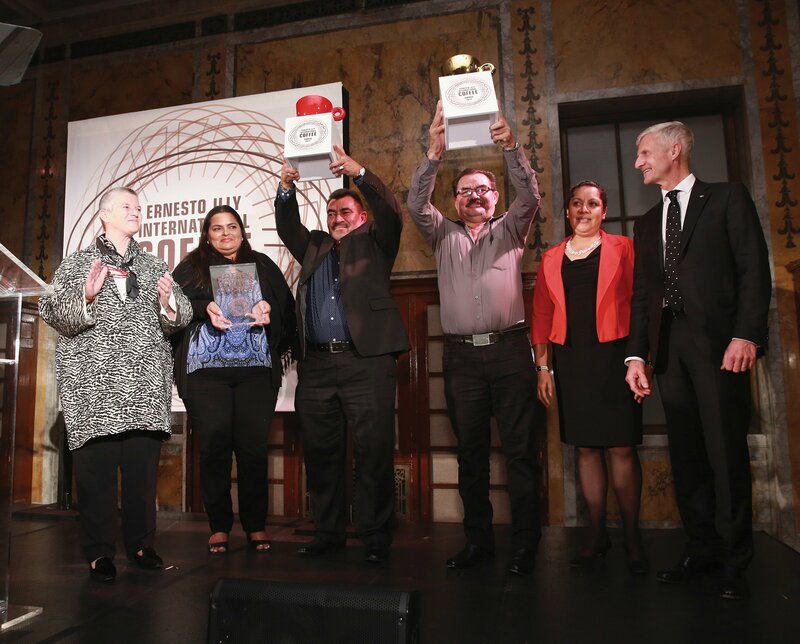 illy sponsored the representatives of all 27 finalists to New York City for Monday’s proceedings at the United Nations, followed by a gala at the New York Public Library to honor the extraordinary achievements of all growers. In addition to “Best of the Best,” a “Coffee Lovers Choice” award, determined by blind consumer tastings, was awarded to Juan Carlos Alvarez from Costa Rica. The “Coffee Lovers Choice” award was sponsored by illy partner United Airlines. • Mark Pendergrast (Jury Chair): A best-selling American author, Pendergrast is known throughout the coffee community for his books Uncommon Grounds: The History of Coffee and How it Transformed Our World, and Beyond Fair Trade: How One Small Coffee Company Helped Transform a Hillside Village in Thailand. • Caterina Ceraudo: Ceraudo is the chef behind Michelin Star-holder restaurant Dattilo, located on her family’s biodynamic farm in Calabria, Italy. She is known as one of Italy’s preeminent chefs for her simple yet innovative takes on traditional Calabrian cuisine. • Pino Cuttaia: Cuttaia is the celebrated chef at the helm of the Licata, Italy-based restaurant La Madia, which he opened with his wife in 2000. Known for his interpretation of Sicilian cuisine, Cuttaia has received two Michelin Stars. • Richard Martin: Martin serves as editorial director of Food Republic, which he launched in 2011 and now reaches millions of food lovers every month. He was a founding editor of the groundbreaking culture magazine Complex. • Denise Mazzei: Mazzei is an assistant professor of business management at the Culinary Institute of America, and an alumnus of the school herself. An entrepreneur at heart, Denise owned her own foodservice business for eight years. • Josimar Melo: A food and wine journalist for leading Brazilian newspaper Folha de S. Paulo, Melo publishes a widely anticipated annual guide to cuisine in São Paulo, and presides over the Latin America Jury in Brazil for the World’s 50 Best Restaurants. • Fernando Arturo Osorio Rodriguez: Director of Quality at Colombia’s Almacafe S.A. – FNC, and an appointee to the Colombian National Coffee Grower’s Federation, Rodriguez is deeply experienced in coffee’s numerous physical and sensorial properties. • Ansha Yassin Suileman: Ethiopia-based Suileman is the managing director for CO QUA trading plc. 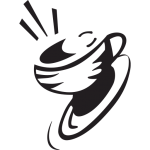 She is a coffee expert in every aspect, specializing in coffee quality inspection, among numerous other skills. According to the company, coffee lovers will have a chance to judge — and enjoy — for themselves, when illy makes each of nine finalists’ beans available for purchase as a single origin next year at select illy Caffè locations.